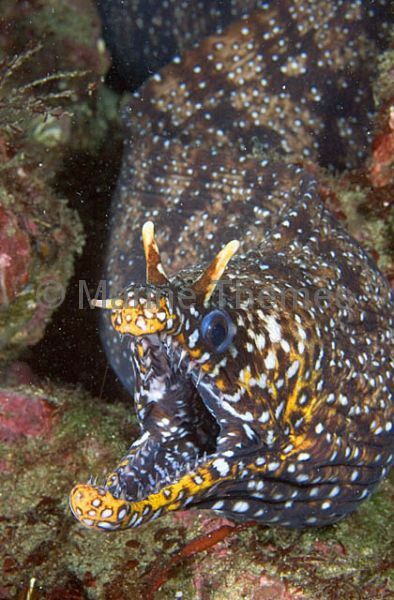 Leopard Morays (Enchelycore pardalis) emerging from holes in coral reef. 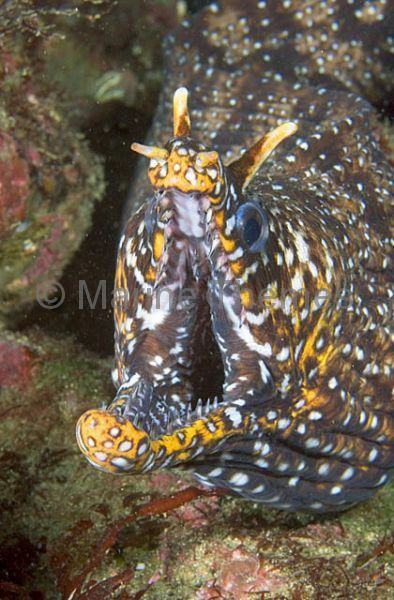 Dragon Moray (Muraena pardalis) emerging from hole in rocky reef. 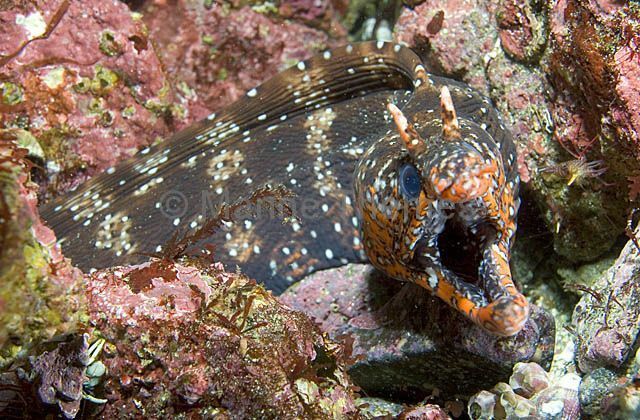 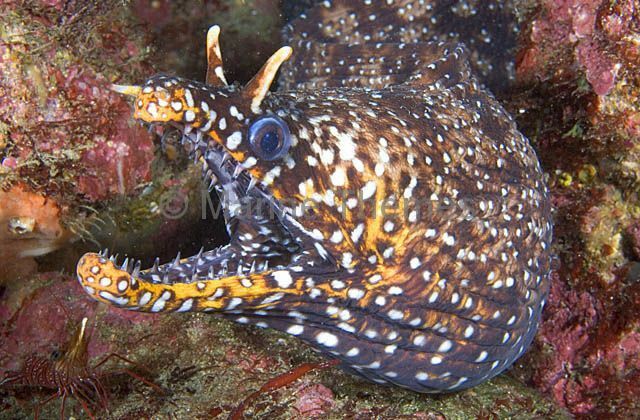 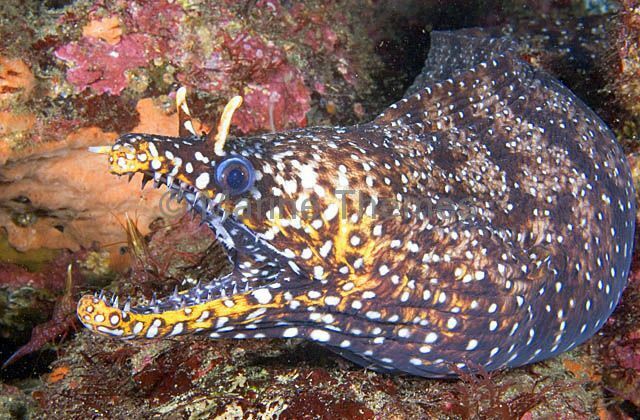 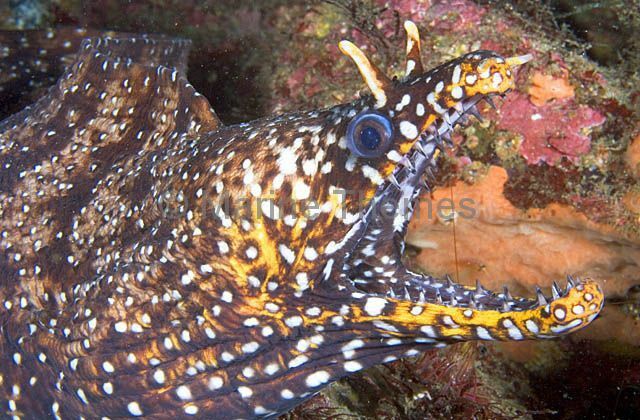 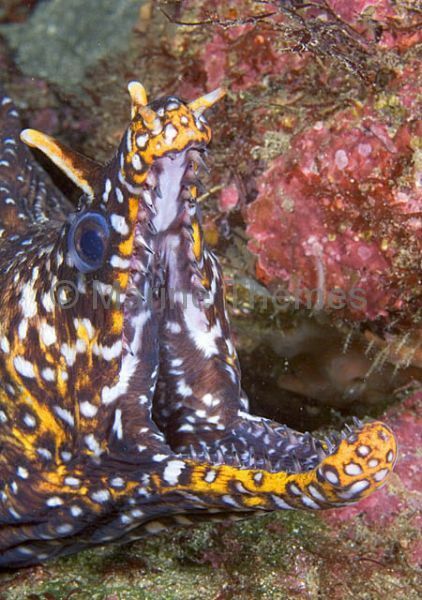 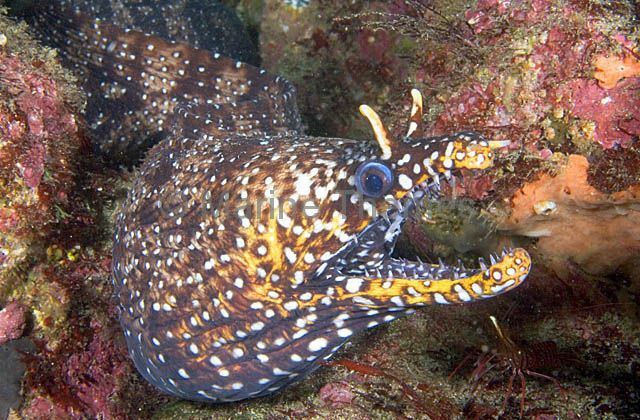 Dragon Moray (Enchelycore pardalis) in yawning threat posture. 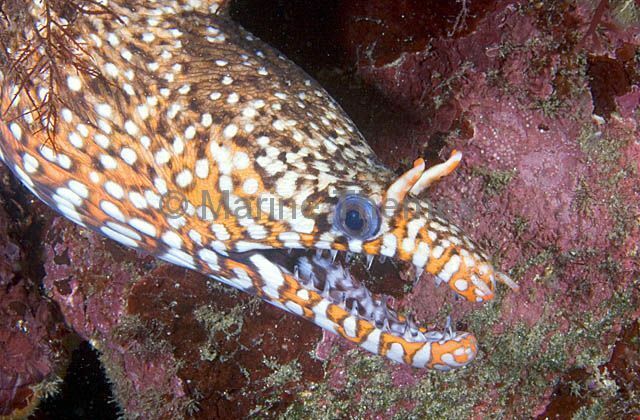 Dragon Moray (Enchelycore pardalis) profile showing distinctive hooked upper jaw. 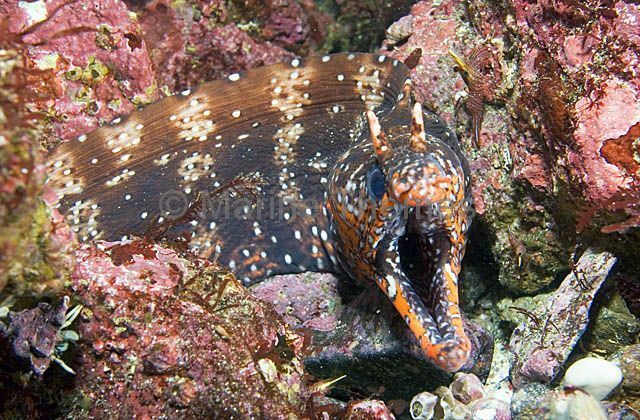 Dragon Moray (Enchelycore pardalis) profile. 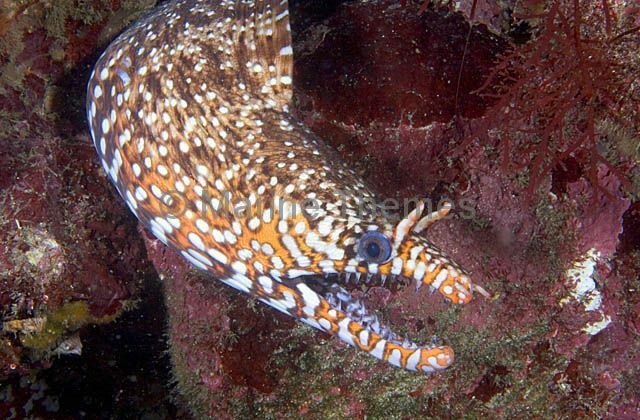 Dragon Moray (Enchelycore pardalis) emerging from crevice in rocky reef. 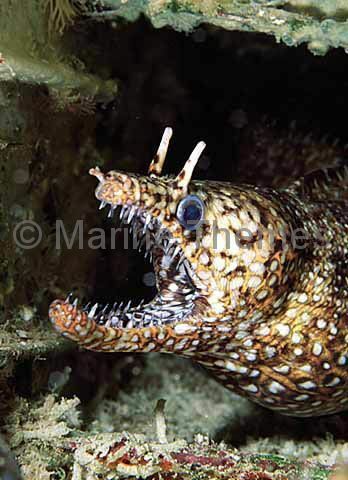 Dragon Moray (Enchelycore pardalis) with mouth open displaying it's sharp holding teeth. 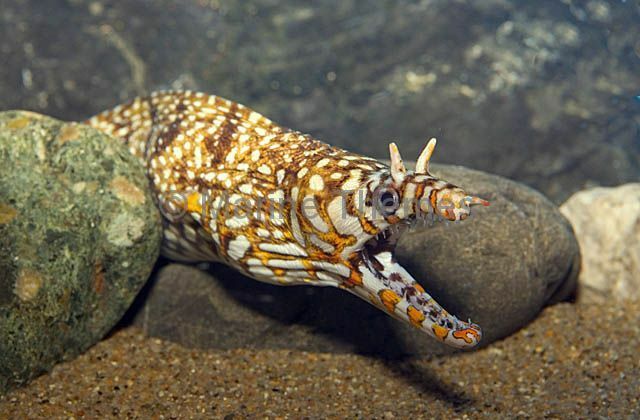 Dragon Moray (Enchelycore pardalis) emerging from rocky lair. 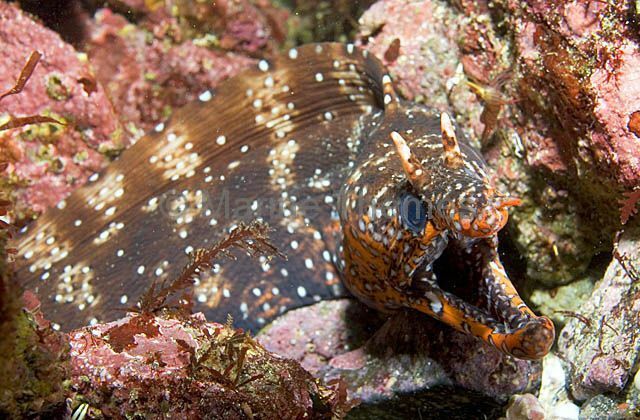 Dragon Moray (Enchelycore pardalis) yawning. 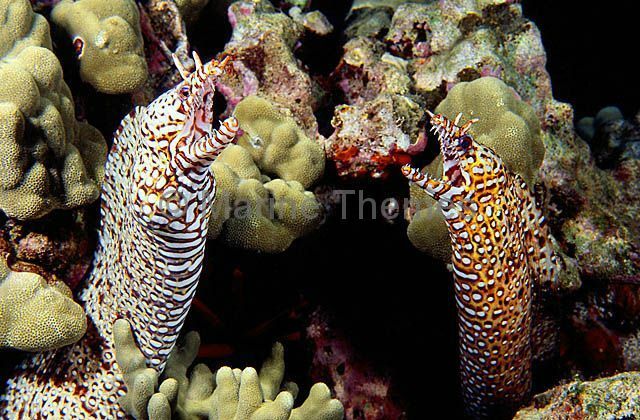 Dragon Moray (Enchelycore pardalis) emerging from rocky reef. 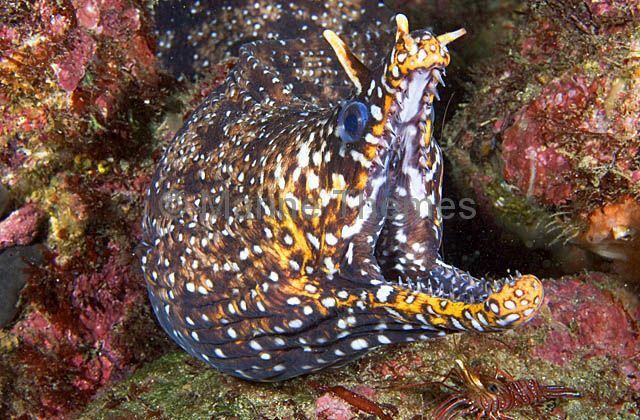 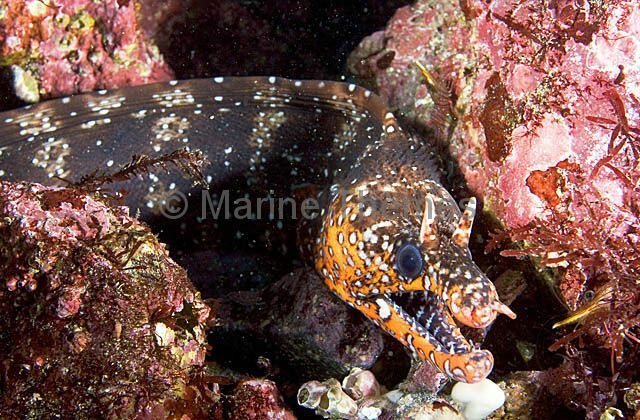 Dragon Moray (Enchelycore pardalis) yawning in possible threat posture. 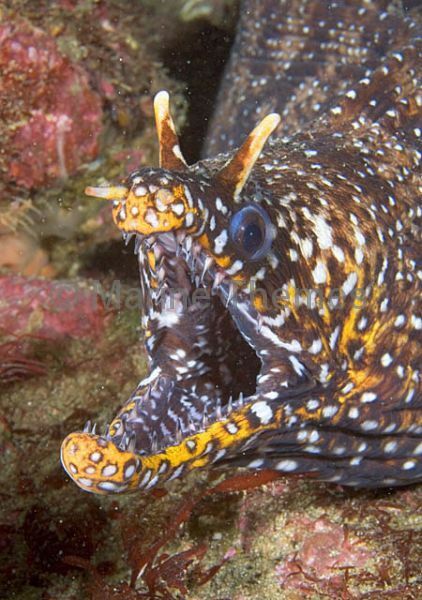 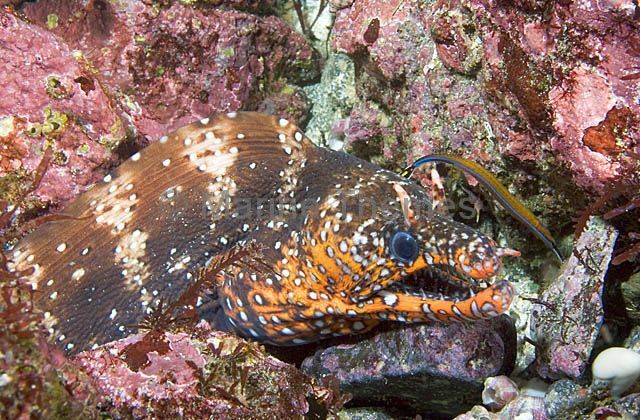 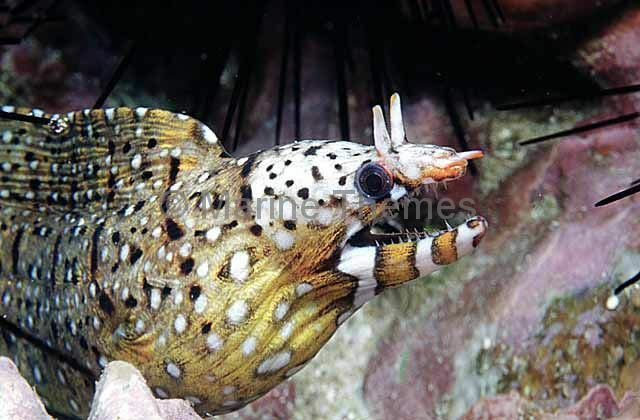 Dragon Moray (Enchelycore pardalis) Open mouth is part of their normal breathing motion.